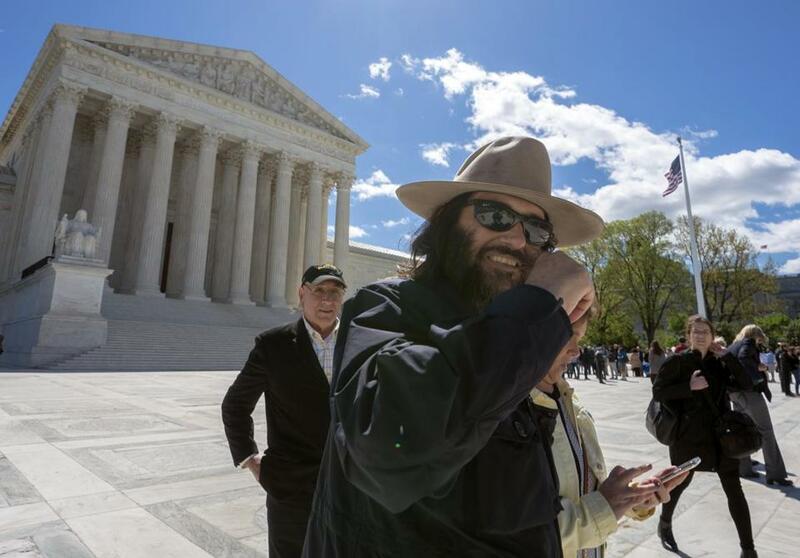 The high court was discussing a trademark case Monday involving a Los Angeles-based fashion brand ‘‘FUCT.’’ But the justices did some verbal gymnastics to get through about an hour of arguments without saying the brand’s name. The case has to do with a portion of federal law that says officials should not register trademarks that are ‘‘scandalous’’ or ‘‘immoral.’’ Officials have refused to register the brand’s name as a result. Brunetti and others like him who are denied trademark registration under the ‘‘scandalous’’ provision can still use the words they wanted to register for their business, nonprofit or brand, a point some justices underscored. They just don’t get the benefits that come with registering a trademark. For Brunetti, that would largely mean a better ability to go after counterfeiters who knock off his designs. Brunetti’s lawyer, John R. Sommer used the phrase ‘‘the F word’’ and stated that his client’s brand ‘‘isn’t exactly’’ a ‘‘dirty’’ word. It wasn’t clear from arguments how the case might ultimately come out, but Brunetti would seem to have a strong case. Two years ago, the justices unanimously invalidated a related provision of federal law that told officials not to register disparaging trademarks. In that case, an Asian-American rock band sued after the government refused to register its band name, ‘‘The Slants,’’ because it was seen as offensive to Asians.